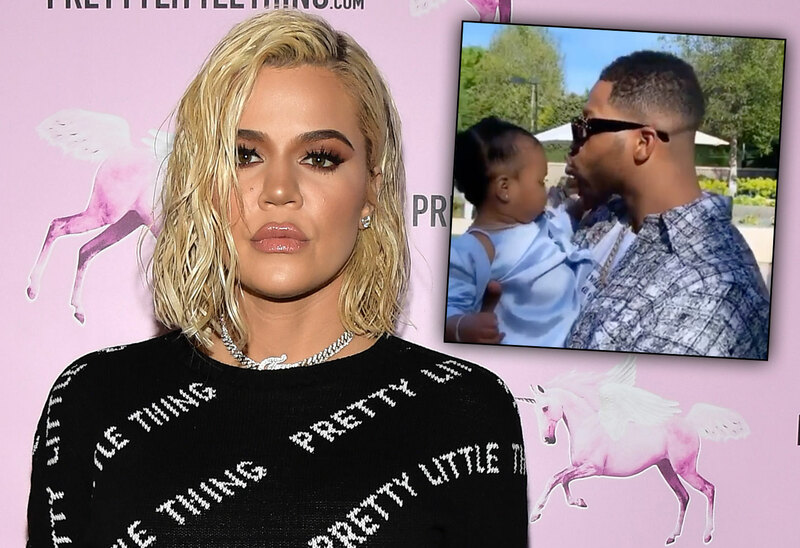 Khloe Kardashian and Tristan Thompson have been taking snipes at each other online, but they put their issues to rest on April 14 to celebrate their daughter True’s first birthday. Khloe, 34, put together an extravagant, rainbow-themed affair for her little girl, and she still let Tristan, 28, attend. The party featured rainbow balloons, multi-color ponies and ultra-fancy desserts. The parents didn’t seem to interact amid the celebration, but they both made sure to post clips of themselves with their baby girl. Click through the gallery for all the info on the party and where Khloe and Tristan stand now. The Keeping Up With The Kardashians star posted a long Instagram story of the Sunday afternoon fête. She and True wore matching blue gowns with coordinating dusters. True hung out with her cousins, including Kim Kardashian’s daughters North, 5, and Chicago, 14 months. Khloe decorated her house with rainbow and butterfly decorations, including a huge sign that spelled out True’s name. The Good American designer shared a photo of True riding one of the rainbow ponies. Meanwhile, Tristan only shared one video of himself with his daughter. In it, he cradles her in his arms and wishes her a happy birthday. From social media, it seemed like Tristan did not see his daughter on April 12, her actual birthday. He might have been in Canada. Khloe, meanwhile, posted tons of photos of her daughter during her big day. Tristan and Khloe broke up in February after he cheated on her again, this time with Jordyn Woods. The reality star has been using her Instagram to take swipes at him and their relationship. Are you surprised that Tristan and Khloe reunited? Sound off in the comments!